The senior outdoor summer league runs from April through September. 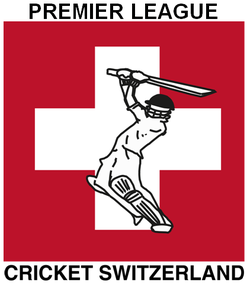 Twelve teams from across the country, compete in the Cricket Switzerland Premier League, a 40 over cricket league format. The qualification round consist of two geographically split divisions, playing one 40 over format cricket match against each team (winner=10pts; no result/draw/tie=5pts; loss=0pts; 1 bonus point=Swiss/Youth/Woman).